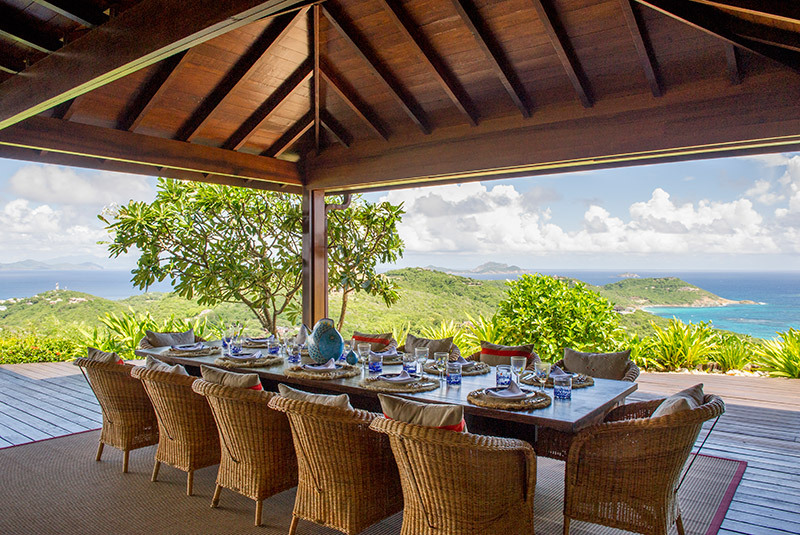 Mustique is truly an exclusive 1,400 acre “estate” that just happens to be located on some of the most coveted real estate in the world. Tightly controlled development means it’s going to stay that way. When Lord Glenconner purchased the island from the Hazell family of St Vincent, he also founded the Mustique Company, which limits construction to 120 villas, 100 of which have already been built. Fortunately for the rest of us, more than half of the island’s residences are available for weekly rental. 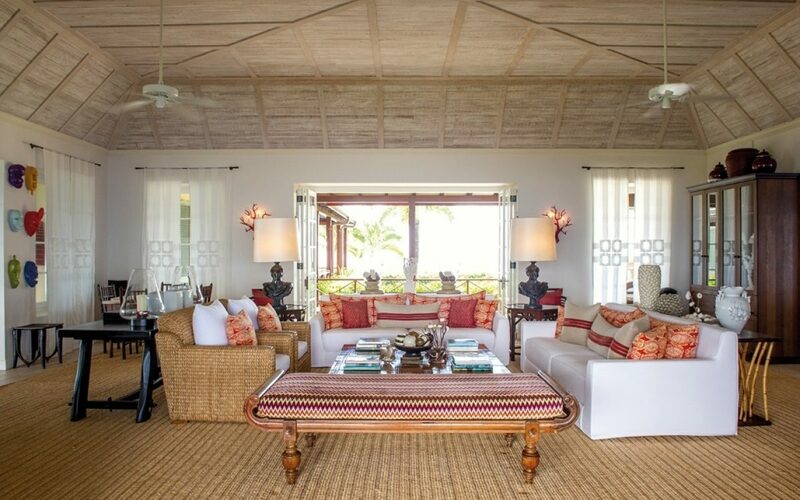 The majority of what is commonly known as “Mustique Classics” are original Oliver Messel designed and Arne Hasselquist built houses. Grand and airy, some beach-front, others nestled high on lush tropical hillsides offering soft breezes and exceptional views, the entire island is a designer showcase with a myriad of architectural styles, each unique and beautiful to suite a cosmopolitan array of tastes. 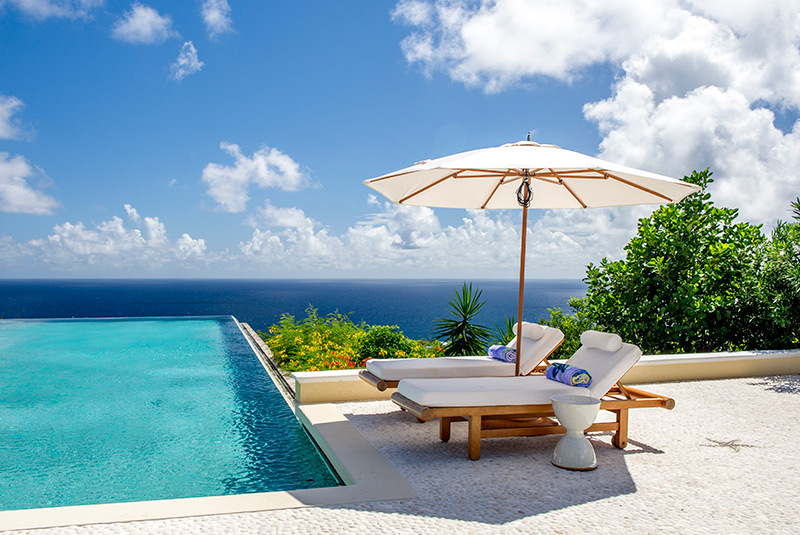 From Tuscan farmhouse, Balinese hideaway, French Chateaux to Italian Villas, Caribbean Chic to Palladian Palaces, Moroccan Villas to Gingerbread Cottages, built with local or imported raw materials from Caribbean coral to exotic woods, stone marble, slate or bamboo, there is home to rent that will suite the most discerning traveller. Capturing the spirit of Mustique, Ocean Breeze is a truly enchanting plantation-style residence located in a commanding hilltop position in the south of Mustique affording its guests panoramic views stretching from the west with the Caribbean Sea and the neighbouring picturesque Grenadine Islands to the east and beautiful Pasture Bay on the Atlantic side. This sophisticated, plantation-style villa, built by the island’s leading architect, combines colonial elegance with Caribbean serenity. Thoughtful design gives this fabulous villa plenty of space and privacy for every guest, while providing superb social areas for convivial gatherings. Immediately impressive, lily pond gardens lead to a dramatic octagonal foyer which opens on to a spacious central courtyard. From here, the undeniable focal point is the twenty-four metre infinity pool, with its stunning panoramas and gorgeous dining gazebo. Other venues include a dapple shaded dining terrace under a bamboo canopy, and a formal dining room in the main building. 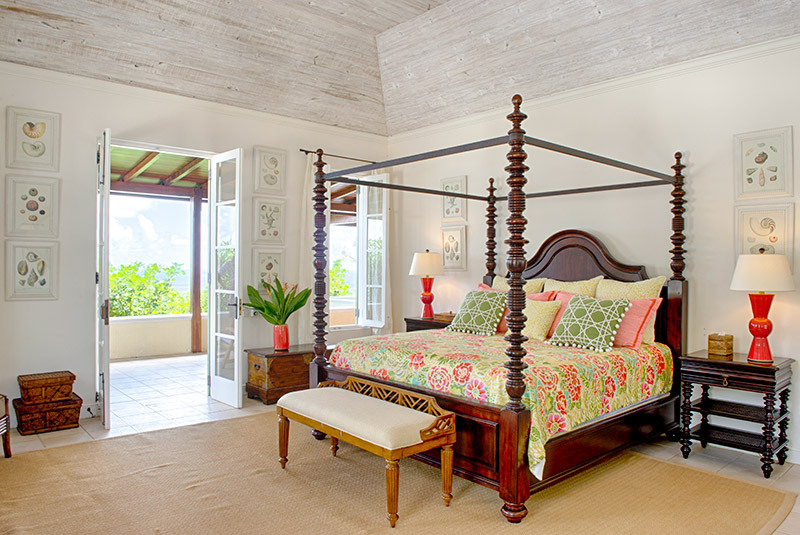 This and the elegant living room have multiple doors to welcome the trade winds, as do the breezy bedroom cottages, each with its own veranda. The outdoor furnishings are luxurious and inviting and evidently made to encourage outdoor dining at its best. Inside, thanks to New York based interior designer Jennifer Bradford Davis, known for designing interior spaces that pair layers of texture with uncommon and often rare materials, the villa is beautifully designed. 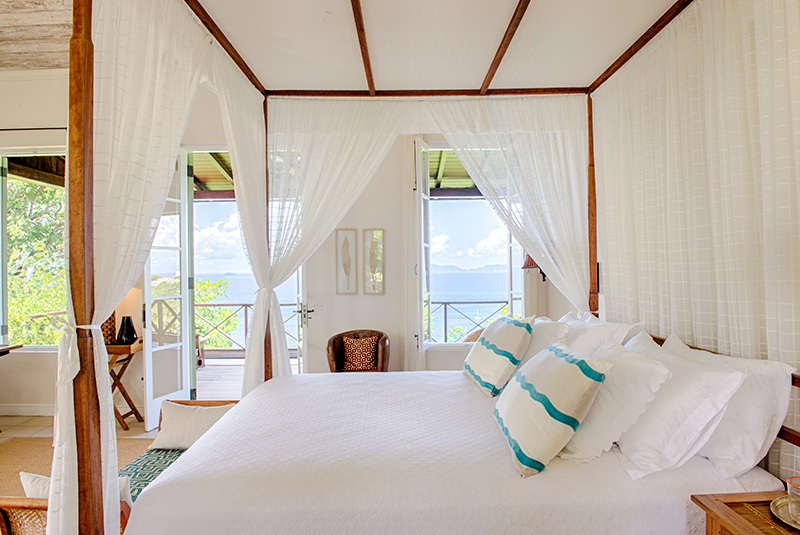 Understated yet sophisticated in style Ocean Breeze features an abundance of natural light paired with cool colours on the walls and soft furnishings and with crisp, white bed linens in the bedrooms. Outside, there are inviting open areas, a perfect reflection of island lifestyle, ideal for families or couples sharing. 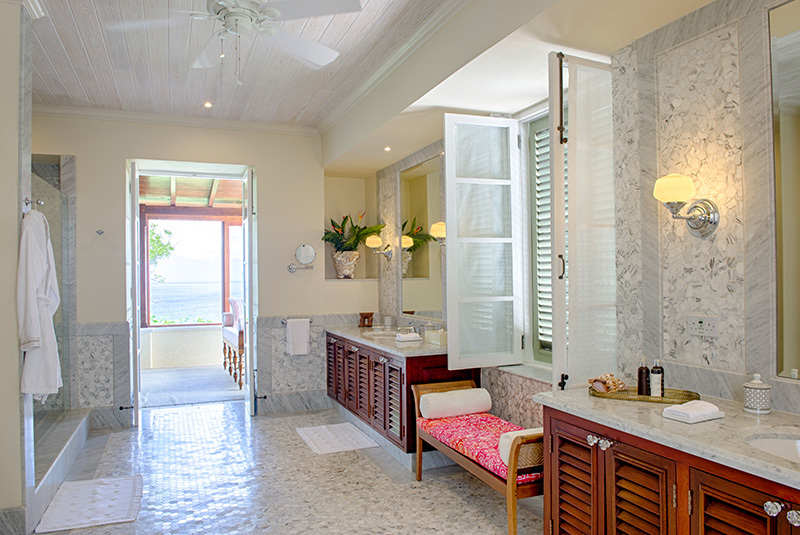 Cook and butler service enhance the Ocean Breeze experience for get-togethers of family and friends, and this very stylish villa is within easy reach of the beach, and of course the Cotton House.